Important factors are the type of chocolate, the size of dog, and the amount consumed. 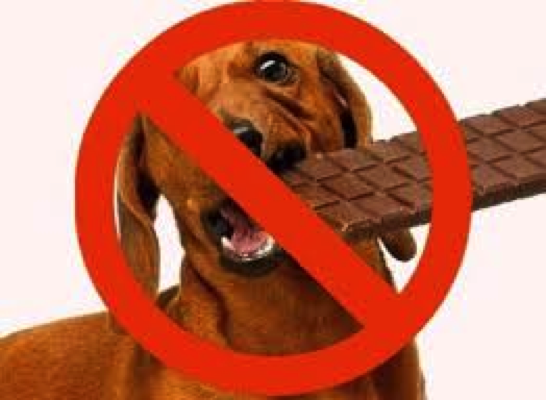 The component of chocolate that is toxic to dogs is called theobromine. Whereas humans easily metabolise theobromine, dogs process it much more slowly, allowing it to build up to toxic levels in their system. A large dog can consume a great deal more chocolate than a small dog before it will suffer ill effects. Surprisingly different types of chocolate have different levels of theobromine. Cocoa, cooking chocolate and dark chocolate have the highest levels while milk chocolate and white chocolate have the lowest. Having said that, any amount could be potentially life threatening, so always check with a vet. A small amount of chocolate will probably just give your dog an upset stomach. He may throw up or have diarrhoea. (still worth seeking medical advice). Larger amounts , will have a more serious effect. In sufficient quantities, theobromine can produce muscle tremors, seizures, an irregular heartbeat, internal bleeding, or a heart-attack.The onset of theobromine poisoning is usually marked by severe hyperactivity. If your dog has eaten any quantity of chocolate, you need to get him to the vet immediately. And if you're dealing with any quantity of dark or bitter chocolate, err on the side of caution. The high level of theobromine in dark chocolate means it takes only a very small amount to poison a dog; just 25 grams may be enough to poison a 20 kg dog.